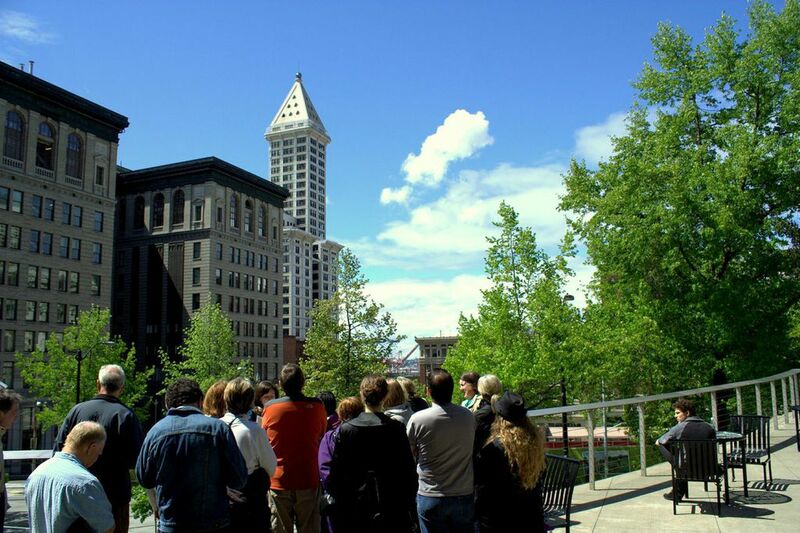 The Smith Tower celebrated its 100th birthday earlier this month, and to mark the architectural anniversary visitors were able to enjoy the Tower’s Chinese Room and the vistas from the Observation Deck for the original admission price collected in 1914—a budget-busting 25 cents. Of course, Smith Tower is always just “there,” part of the ever-present scenery of daily life in downtown Seattle. Maybe on your checklist of show-off-the-city items for visitors. But try for a moment to ignore the familiarity of icons like this. Because architecture is so integrated into our everyday patterns, it’s easy to take the urban landscape for granted—buildings, facades, interiors, walkways, skylines—yet at the same time they profoundly influence the way we experience those everyday patterns, at however unconscious a level.